Part 1: What is Electrosmog? Part 2: Why is electrosmog Harmful? part 3: How can I avoid electrosmog? Part 1: What are Earth Rays? Part 2: What is the Curry Grid? Part 3: What is the Hartmann grid? Part 4: What is the Benker grid? Part 6: How does earth radiation impact us? Part 8: Radiation seekers or radiation avoiders? Part 1: What are Water Veins? Part 2: What illnesses can water veins cause? Part 3: How do I find water veins? Radiation seekers or radiation avoiders? Part 2: How pure is our drinking water? Part 3: Is bottled water healthier? Part 7: How noticeable is the harmonization? Burnout – what is it? Part 1: Burnout – what is it? Part 5: How can I prevent Burnout? Part 7: What comes after Burnout? Swiss Harmony’s CarTuner neutralizes the harmful effects of electrosmog while you’re driving. In a harmonised car the driver and all passengers can truly relax. 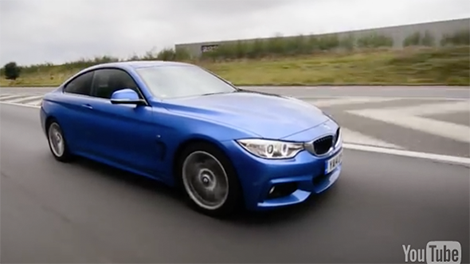 A convincing side effect: The CarTuner helps you to save fuel. 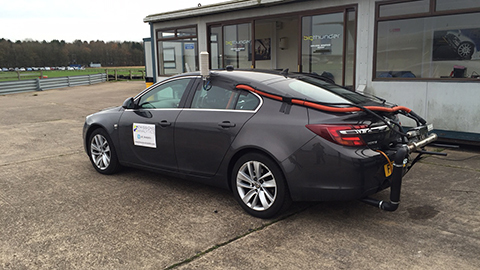 Emissions experts in the UK have confirmed that the CarTuner reduces fuel consumption, carbon dioxide and monoxide levels emitted by up to 4.6%, 4.4% and 40% respectively. In a modern car the amount of wiring in it can add up to numerous miles. In a high end model the amount of electric motors could be as high as 30. Electrosmog in the car is a growing reality that gets ignored all to often. Drivers and passengers complain more often about headaches, sickness, and the feeling of being beat and exhausted after a long trip. The CarTuner provides a safe environment in the car by adding electromagnetic radiation protection to any vehicle. An environment that allows driving free from electrosmog. In a harmonized car, you can drive for hours without worrying about the negative effects of electrosmog. 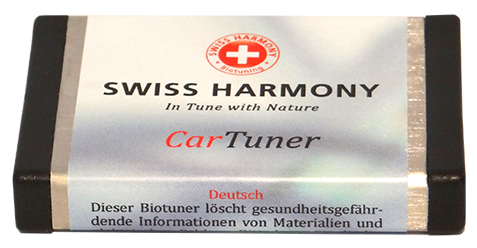 Swiss Harmony CarTuner neutralises any possible harmful effects, caused by electromog, when driving. In a harmonised car the driver and all passengers can truly relax. Even after long travel times all passengers and especially the driver remain in the best condition. Most of our clients additionally report a reduction in fuel consumption since having installed the CarTuner. We wanted to know if that was true so we conducted a challenge in the United Kingdom. We drove twice from London to Edinburg and back. Once with out the CarTuner and once with it installed. On this challenge we were accompanied by a professional video production company, J Motion. The result of the test were astounding. On the first harmonized trip we saved 22% and on the second harmonized trip we saved 15%. The video can be seen at the top if this page or here on YouTube. 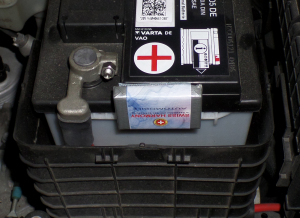 It is available in three sizes for passenger cars (S), minibuses and vans (M) and for trucks and buses (L). The effect of our CarTuner has been proven by an emissions Specialist "Emissions Analytics Ltd."
We create and develop products and services for the reduction or neutralization of Environmental pollutants. Harmony is not just the result of our products but also the core element of our interaction with clients, suppliers, and co-workers. Unless otherwise stated, our consultations are free of charge, informative, and strictly obligation free. The installation by Swiss Harmony is quick, easy, and effective immediately. Are you a therapist? or do you work in a clinic? Are you regularly in contact with people who are sensitive to electrosmog? Then call us on: +44 (0) 7824 665441. We would love to work together with you.